I’m going to state the obvious here: compromise is hard. Humans aren’t born ready to compromise—just consider how willing babies are to wait for you to finish showering before you feed them. Exactly. It’s a good thing humans marry a little later in life, after the lessons learned in kindergarten have hopefully had a few decades to sink it. Whether you like it or not, compromise in marriage is unavoidable, and it often involves matters of time and money, which figure prominently in most people’s single-life interests. Once you add kids to the mix, compromise effectively becomes the name of the game on a daily basis. There are little compromises (“ok, let’s go out for wings”) and big ones, which usually require much thought and involve big changes which may not necessarily please everyone. Recently, a friend who is an exceptional driver was at a local racetrack for his first event of the year. He is a strong driver with over twenty years of performance driving experience. Normally he tracks a Porsche, but last winter he spent a few months rebuilding the engine himself (yes, you read that correctly…he took apart and rebuilt a Porsche engine all by himself). He wanted to give the engine some break-in time and check a few things before tracking the car, so he opted to take his daily commuter—a stock, 1st-gen Audi TT—to the track instead. The TT held on for a good part of the first day, but eventually couldn’t keep up with our friend’s advanced driving demands. If you’ve driven a stock street car on a race track, the first place where you probably noticed diminished performance was the brakes. Brakes is where our friend noticed the difference, too, when he experienced severe brake failure while braking hard after reaching 118 mph or so in the front straight right before a right-hander that is best handled at about 60 mph. Thankfully, he made the right choices and, after coming to a stop aided by the sand trap, dirt and a tree, was able to walk out in one piece (albeit with a very sore back). Once the dust and shock of the accident settled, there was reality to be grappled with. For him, a thorough analysis of the data and events which led to the brake failure, crash, and loss of his daily driver. For his wife, an unexpected opportunity to re-evaluate whether she still thought his taking part in risky track events was a good idea. Years before, she had told him two on-track events was all she was willing to tolerate before she would ask him to stop, and this one definitely counted toward that total. You may be tempted to assume that this is the classic “wife is a killjoy and limits her husband’s track time and car ownership” scenario, but this couldn’t be further from the truth. This is a couple that has been very happily married for over 25 years. The wife, in spite of having very little interest in cars or track events, has attended several over the years, spending the day in the car trailer chatting and working on her sewing and quilting projects. She has listened to countless car discussions over dinner, with and without friends. Anyone who is familiar with race tracks knows they are not the most comfortable places,** but she has never made an issue of this. The husband, in turn, has always been supportive of her various community endeavors, where her natural leadership qualities shine. This is a couple that is exceptionally good at letting each other pursue their passions and interests. Our friends are at a crossroads which can’t be easy for either one of them. He has learned from his experience and recognizes his street cars don’t belong at the track. He also is aware that returning to driving will perhaps require adjustments so his wife can be comfortable with the idea. I have not heard her side of the story, but I am guessing she does not want to tell him to stop driving; at the same time she is probably not too keen on his putting himself in danger unnecessarily anymore. 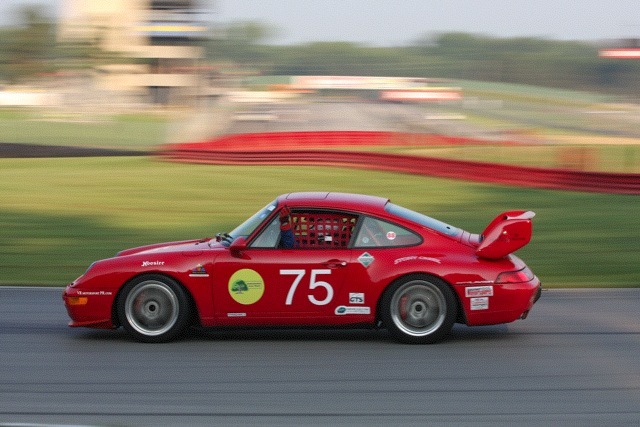 I’m happy to report that our friend returned to the track last weekend and had a wonderful time driving his track-prepped Porsche. The engine he built performed beautifully, and the weekend went off without a hitch. I am interested in how he and his wife work through this challenge long-term. At one point or another, I too may have to grapple with the thought that my husband may hurt himself while racing and consider whether to request adjustments. Our friends’ relationship has already served as inspiration for my husband and I in many other ways, so I may have to draw upon their wisdom again. Because the line between ultimatums and repressed opinions leading to resentment is fine, I prefer to tread it in a way where neither my husband nor I feel limited by each other’s requests. Unfortunately, there isn’t a magic formula for how to retain one’s freedom while being thoughtful of our spouses needs. If it were easy, couples would argue less and divorce would be less common. 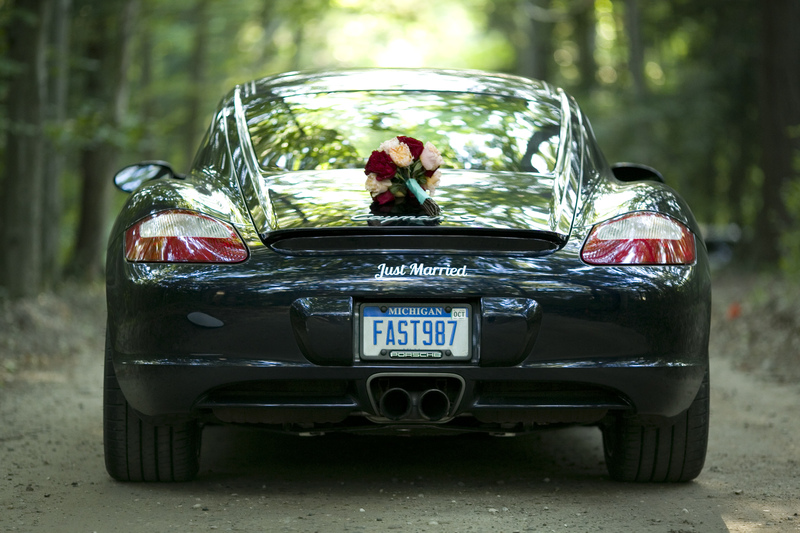 Perhaps marriage is more like car racing than we’d like to acknowledge: the car needs maintenance, but even with all parts working perfectly, the driver is responsible for keeping it balanced at speed. Push too much, and you risk a crash. Push too little, and boredom and frustration set in. Do it just right, and it’s the best feeling in the world. *All scenarios are fictional and in no way indicate my own husband’s relationship with audio equipment. Ok, maybe just a little. ** Dust, smell of gas, dirt, long walks to bathrooms, worst food possible. Barber Motorsports Park excluded, naturally. Valerie – I thoroughly enjoyed your excellent articles on both your & friends’ (I know them both, too) track experiences and your own story (congratulations on your new citizenship), and can relate to both personally on many levels (e.g., having a very German name, but born here, though). I know & enjoy your husband too, and sat & talked with him at the PCA RSR meeting last night. Perhaps I will have the pleasure of meeting you some time. In the meantime, write on! Thanks so much for your kind compliments, Conrad! I am glad you enjoyed the pieces. I do hope we get to meet soon.